the best solution for Aesthetic field in hair removal, now also available for vascular applications. Available in three different wavelengths (755nm, 808nm, 1064nm), both single or combined. 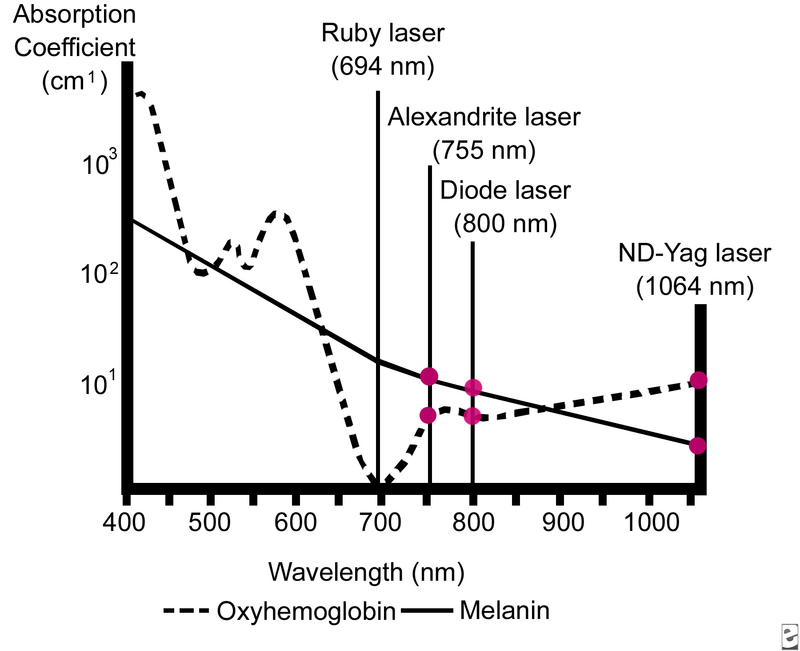 Clinical studies have demonstrated that the 808 nm wavelength has high pick absorption both on Melanin and on Oxyhemoglobin. As consequence, MIA Laser Chrome Diode can easily and effciently burn the hair follicles and at the same time achieve the blood coagulation around them. With a minimal blood flow, in Anagens and Catagens phases, the follicles are no longer feeded. As further final result Chrome Diode reduces the hair regrow in all treated areas. low maintenance cost makes MIA Laser Chrome Diode the best solution for Aesthetic field in hair removal.